Do you have an hour to study, to lay the groundwork for a better short game? After all, you’ve spent hundreds of hours trying different techniques. You’ve purchased new equipment. You’ve changed golf balls. How about the hours worth of YouTube videos? All are good (especially those YouTube videos), and gaining that footing of knowledge is good. But what’s another hour out of your extensive research? Especially with concrete information designed to specifically help with the short game woes. That’s the Wedge Book. It’s a well-written, fundamentally sound, short-game encyclopedia that creates the foundation of a wonderfully effective wedge game. The caveat? Practice is required. The book was inspired by a short-game manual written by Doug Ford in 1963. It even carries the same title. This book, the modern version of Ford’s book, starts with Brandon Stooksbury, a PGA Instructor from Macon, Georgia, with a wealth of short game brains. Following a golf instruction sabbatical, of sorts–years where Stooksbury shadowed some of the great short game minds in the sport–an authentic guide for wedge development was conceived. He teamed up with Golf Digest’s Matthew Rudy to write the book. The Wedge Book is broken down so simply. To Stooksbury, the approach to chipping is simple. He wants the player to do two things: analyze the lie, and select the landing zone for the golf ball. The rest of the decisions and execution are based off of those two primary elements. Stooksbury is an advocate of using the shot’s trajectory, as opposed to spin, to stop the ball on the putting surface. Throughout the book, basic concepts are explained and presented. It is never Stooksbury’s attempt to confuse or overwhelm the reader. The aim throughout is to add clarity to this element of the game. 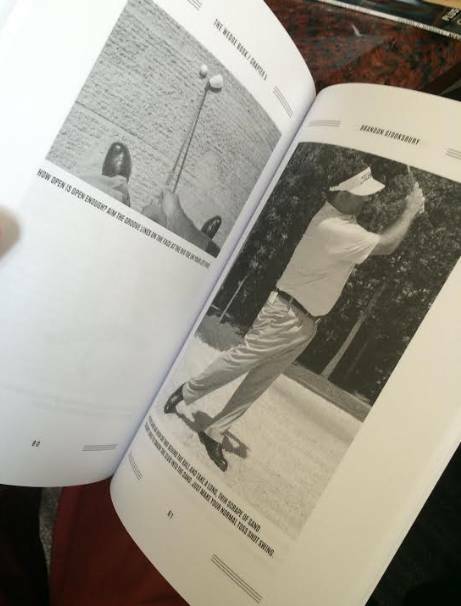 The book is a conglomeration of short game shots–the bump & run, the hinge & hold, and escaping the sand. All of his tips provide an executable practice structure and a simple to understand methodology. The book is a little under 100-pages and images included, can be read in under 60 minutes. There’s no fool’s gold here. 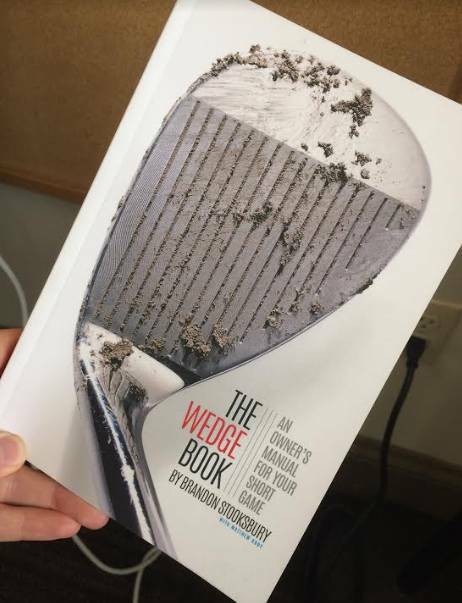 The Wedge Book doesn’t attempt to be anything other than what it says, “An Owner’s Manual for Your Short Game.” For those looking for a book with an in-depth look into the history of wedges, this isn’t your book. For others searching for highly-technical, at times confusing information and data surrounding the inner-workings of the short game, this isn’t your book. But to those looking for an easy read with endlessly easy tips, The Wedge Book is the perfect book. As I said above, the book doesn’t make an attempt to “attempt to confuse or overwhelm the reader.” It’s a great, short read with great fundamentals inside. 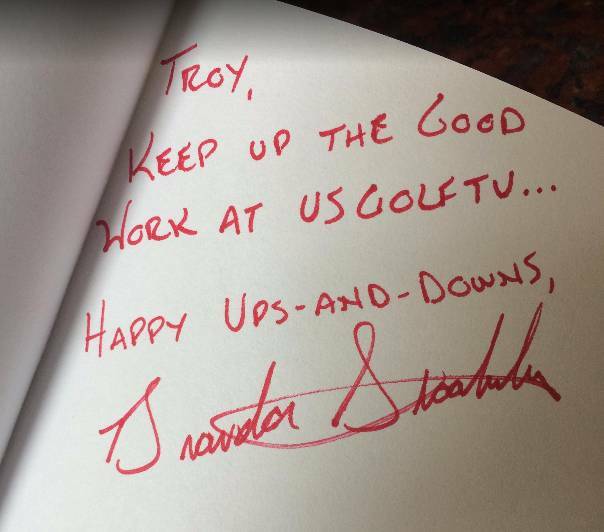 Stooksbury did a nice job compiling many years of short game knowledge into something that’s simple. In what I’ve learned about golf instruction, the key is about communicating the complex into simple terms, something Stooksbury has done remarkably well. And judging by the note in the front of my book, he’s a great guy too. Now get out there and start practicing.